Last week I received an email from a reader who was looking for a way to have her students collaborate on a multimedia collage. My immediate suggestion was to try Thinglink. She wasn't aware that Thinglink allows students to collaborate on the creation of interactive images. I made a short video to help her and others who haven't tried Thinglink's collaboration option. The video is embedded below. 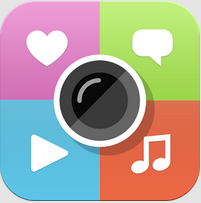 Check out this post for more ideas on using Thinglink to create multimedia collages.